· Antibiotics Resistance Now Deemed a "Public Health Crisis"
The above headline is from an April 30, 2003 article from Reuters Health. On that same date panelists from the Infectious Diseases Society of America (IDSA), the Society for Healthcare Epidemiology of America, and the Society of Infectious Diseases Pharmacists warned that the medical community is losing the fight against antibiotic-resistant "super bugs" and few new drugs are in development to counter this growing threat. The article states that the panel called for "immediate national action" to limit the threat through judicious use of antibiotics and better infection-control practices. Dr. Martin Blaser, chairman of the department of medicine at New York University School of Medicine and a representative of IDSA, told Reuters Health, "Every time you prescribe an antibiotic, you are affecting not just that patient, but all living and all future living organisms." He went on to say, "Antibiotic resistance is a function of antibiotic use, and we're currently using tons of antibiotics. And since there are relatively few antibiotics in the pipeline, when we reach a certain level of resistance, we'll have no reinforcements." Dr. Neil Fishman, director of the department of healthcare epidemiology and infection control and director of the antimicrobial management program at the University of Pennsylvania in Philadelphia, told conference attendees, "We used to think of resistance as predominantly a problem in hospitals. But it has become more and more common in the community. We also thought the organisms involved were different, but now, all the divisions are blurring." The point about super infections moving outside hospitals was made in an Oct. 23, 2002 Medscape article titled, "Antibiotic-Resistant Staph Moves Outside Hospital". In this article researchers reporting at an American Academy of Pediatrics meeting stated that doctors need to be alert for an antibiotic-resistant form of a common staph infection that is quickly spreading in some communities. Sheldon Kaplan, MD, professor and vice chair for clinical affairs in the department of pediatrics at Baylor College of Medicine and chief of infectious diseases at Texas Children's Hospital noted that 70% of the community-acquired staph infections treated over the past year at the Texas Children's Hospital in Houston were resistant to a class of antibiotics that were once the first-line treatment. He said, "Five years ago, we didn't see it, now you assume the organism is resistant." A new study just published in the Journal of Clinical and Experimental Allergy has added fuel to the concern over the indiscriminate use of antibiotics.1 It has also begun to address the recent concern of scientists about the increasing occurrence of asthma in the United States. An "odds ratio" of 1.0 means the likelihood of a particular event occurring is equivalent whether or not a child has taken antibiotics. Thus, a child given antibiotics during the first year of life has an odds ratio of 4.05, which means the child is over four times more likely to develop asthma symptoms than the child who has never taken antibiotics. So, now childhood asthma is added to the list of potential hazards to taking antibiotics. This, along with the increase in antibiotic resistance, should cause patients to think twice about taking antibiotics, particularly where not specifically required. The Southern California/RAND Evidence-based Practice Center (EPC) performed an analysis of clinical studies conducted on children four weeks to 18 years of age from 1964 through 1998, sponsored by the Agency for Healthcare Research and Quality (AHRQ). In this analysis the investigators found, a large percentage of children, nearly two-thirds of those studied, "with uncomplicated acute otitis media...recover from pain and fever within 24 hours of diagnosis without (antibiotic) treatment...and over 80% recover within 1 to 7 days." The Evidence-based Practice Center estimates that over 5 million episodes of acute otitis media occur each year in the US at a cost of approximately $3 billion. In the United States it is routine to use antibiotics as a first treatment approach. This is in contrast to other countries, such as the Netherlands, where the standard practice is to use "watchful waiting" for one to two days after the onset of an ear infection in children over two years of age. In these countries antibiotic use is only called for if the infection fails to improve during that time. Because of the difference in antibiotic usage between the US and the Netherlands, the rate of bacterial resistance in the Netherlands is about 1 percent, compared with the US average of around 25 percent. This indicates that the US uses antibiotics more than other countries. Additionally, not only is antibiotic use possibly unwarranted, but questionable in their effectiveness. In a report from the Centers for Disease Control (CDC) publicized by the Associated Press, it was reported that "Erythromycin has been strongly linked to pyloric stenosis", an illness among newborns that blocks digestion and causes projectile vomiting." This serious condition requires surgery to correct. The reports initiated at a Knoxville Tennessee hospital where 200 babies born in February 1999 were prescribed erythromycin after being exposed to whooping cough by a hospital worker. Seven of the children, all under three weeks old, became ill with pyloric stenosis. As a result the CDC is warning both doctors and patients to be aware of the potentially serious side effects of the antibiotic. It should be noted that newborns are also sometimes given erythromycin to treat Chlamydia infections transmitted from their mother during childbirth. Antibiotics soon will bear a big new warning that overusing them makes them less effective. From the February 6, 2003 release of the Associated Press Health News, comes the news that antibiotics will soon carry a new warning message mandated by the US Food and Drug Administration. The new action was prompted because it has long been known that antibiotics have been drastically overused. According to the AP story, the new warning says that doctors must be sure a patient is suffering a bacterial infection, not a virus with similar symptoms, before prescribing antibiotics. The article notes that all too often, doctors prescribe antibiotics for children with ear aches caused by viruses, or for adults with colds or viral coughs. Antibiotics have no effect on viruses; they only fight bacteria. However, the US government estimates that half of the 100 million antibiotic prescriptions written in physician offices each year are unnecessary. One of the reasons that the FDA action has become so important is that bacteria are growing increasingly resistant to antibiotics. Many common infections no longer are treatable with old standbys like penicillin, and some have become untreatable by every antibiotic on the market. Anytime antibiotics are used, survivor germs can emerge stronger and spread. 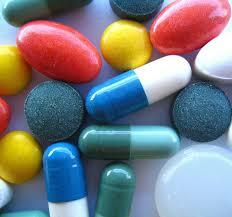 It is the overuse of antibiotics that has lead to the increased resistance by bacteria. The FDA proposed the new warnings two years ago. They will go into effect February 6, 2004. Unfortunately, the warnings would be only on the drugs' official label, and the AP story reports that very few doctors read drug labels. Because of this the FDA is working on additional ways to spread their concern over the use of antibiotics, including future ads aimed at consumers. The Associated Press reported on a study by a group of Pediatricians who studied 383 children with acute respiratory tract illness, ranging from infants to age 12. 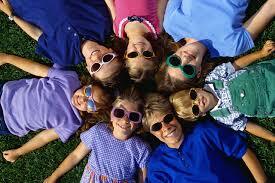 The study conducted over a one year period was published in the Journal of the American Academy of Pediatrics. Of the three hundred eighty-three children in the study, 293 (77%) did not receive antibiotics. The doctors compared the return office visits for the group that received antibiotics with the group that did not. The results showed that 44% of those treated with antibiotics returned for additional treatment while only 29% of those who did not receive antibiotics had to return. Dr. Michael Pichichero, one of the authors of the study, concluded that while some doctors will prescribe antibiotics for nearly all patients with respiratory infections, "there is no scientific rationale for such antibiotic use." In spite of these numbers, a recent survey by the Centers for Disease Control (CDC) showed that 86% of pediatricians in Georgia routinely prescribe antibiotics for bronchitis, even though such use is rarely justified. The CDC goes on to say that 42% of pediatricians surveyed prescribe antibiotics for the common cold which is caused by a virus and which antibiotics have no effect on. In the March 18, 1998 issue of the Journal of the American Medical Association (JAMA) was an article entitled Antibiotic Prescribing for Children with Colds, Upper Respiratory Infections, and Bronchitis. The article talks about the prevalent usage of antibiotics in children with problems coming from viruses. As all doctors know, antibiotics are not designed or effective in viral infections such as many upper respiratory infections (URI's), bronchitis or colds. In the study sited in the report in JAMA, 531 pediatric files were reviewed whose diagnosis was either colds, URI, or bronchitis. Of these it was determined that 44% of those with colds got a worthless and possibly harmful antibiotic. Of those with URI's 46% were determined to have gotten antibiotics they didn't also need. And in those diagnoses with bronchitis an astounding 75% received an antibiotic even though antibiotics would be totally ineffective and possibly harmful. According to the article's bottom line: "Antibiotic prescribing for children diagnosed as having colds, URI's and bronchitis, conditions that typically do not benefit from antibiotics, represent a substantial proportion of total antibiotic prescriptions to children in the United States each year." Many medical physicians admit that patients expect and even demand antibiotic usage on their children with these types of problems. Doctors have lost patients from their practice when they have refused to administer antibiotics to a parent who mistakenly believes that form of care is needed. An Associated Press article dated September 20, 2002 reported that the US Food and Drug Administration (FDA) had issued a warning on the use of pain killers known as acetaminophen. The most common brand of acetaminophen on the market today is the over the counter brand Tylenol. The article featured the story of Marcus Trunk, who took a prescription painkiller containing acetaminophen for 10 days. In addition to this he took an over-the-counter acetaminophen for another week to numb the pain of an injured wrist. Suddenly nausea and vomiting hit as the popular painkiller was destroying his liver. The tragic result was that the 23-year-old then died. The AP article states that Mr. Trunk was one of thousands of Americans who may unwittingly take toxic doses of acetaminophen every year, at least 100 of whom die. Trunk's mother, Kate, told government scientists who initiated an investigation, "You cannot allow more innocent men, women and children to suffer. Death is not an acceptable side effect." Some scientists warn that even taking the maximum safe dose for a long period, instead of the recommended day or two, may be risky. An FDA review found that there were more than 56,000 emergency room visits a year due to acetaminophen overdoses, about a quarter of them unintentional. 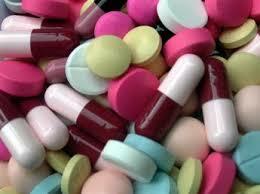 Additionally they found that there were about 100 deaths associated with acetaminophen. However, Sarah Erush, a University of Pennsylvania pharmacist states that those figures are a severe underestimate of deaths because many hospitals don't report unintentional poisonings. Dr. William Lee of the University of Texas Southwestern Medical Center, contends that acetaminophen appears to be the leading single cause of acute liver failure, the most severe type of liver damage. 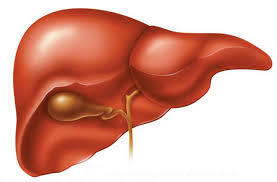 His database of 395 patients linked 40 percent to the painkiller, more than any other liver-harming medication or disease. Additionally, some babies die every year when parents mix up doses of infant acetaminophen drops with children's liquid acetaminophen, despite warnings on the bottles that the products aren't interchangeable. Presently acetaminophen packages are required to warn consumers not to use it if they consume more than three alcoholic drinks, because the combination can harm the liver. Many are calling for more harsh warnings to help protect the public. This is why dangerous drugs and vaccines are still being recommended! A former senior consultant with the Food and Drug Administration (FDA) has criticized that agency's close relationship with the pharmaceutical industry. In an interview with the British Medical Journal, he attacked the FDA's decision to allow the re-marketing of a controversial drug. Dr. Paul Stolley joined the FDA in July 2000 to look into the post-marketing safety of alosteron (Lotronex), a treatment for irritable bowel syndrome manufactured by GlaxoSmithKline. Within months, he was writing to his superiors about a rising toll of adverse incidents, including ischaemic colitis, hospitalization, surgery, and deaths. Glaxo Wellcome (as the company was named at that time) voluntarily withdrew alosteron in November 2000, but almost immediately patient groups were pushing for its return. Stolley claims that his superior, Dr. Janet Woodcock, accused him of "brow-beating" colleagues about the drug's risks. He also says other colleagues concerned about the drug's safety were pressured to "help get this drug back on the market." In April, a special advisory committee recommended that alosetron be remarketed on the condition that it was prescribed only by specially certified doctors. Six weeks later, however, the FDA formally re-approved marketing based only on "physician self attestation of qualifications." A number of the committee members are now publicly warning of a risk of more deaths and another withdrawal if the drug returns to the market later this year. What happens in the U.S. is likely to determine whether the company pursues approval for the drug elsewhere in the world. Over the last 10 years, eight drugs have been approved by the FDA and subsequently withdrawn for safety reasons, prompting calls for an end to industry funding of FDA drug reviews. "It's getting its money from industry now and it's afraid to offend those companies," says Stolley. Glaxo and the FDA deny any inappropriate influence over regulatory decision-making. FDA Says Many Prescription Drug Ads Are Deceptive The US Food and Drug Administration regularly sends out citation letters to many drug companies for overstating the effects of their drugs in advertising. Tom Abrams, the chief watchdog at the Food and Drug Administration for deceptive advertising, says some ads stretch the truth with overstated claims of effectiveness and understated descriptions of side effects. This report was aired on January 3, 2001 by ABC News. According to the report, every year, the FDA sends about 100 letters to drug companies demanding changes in television commercials, magazine ads and other promotional materials. Many companies are repeat offenders and continue to use deceptive advertising. Some examples include the allergy drug Claritin. According to the FDA the makers of this drug are repeat offenders. Since 1997, the manufacturers have been told 10 times to change their advertisements. Additionally, makers of two other allergy drugs, Flonase and Flovent have been cited 12 times for commercials the FDA claimed were misleading. Dr. Sharon Levine of RX Alliance says, "This is intentionally misleading, the drug companies are trying to suggest they can deliver more than they do." Amazingly, the ABC story noted that the FDA has never taken a company to court. They noted that most offenders simply change their advertisements and come up with another sales approach. Half of All Antibiotics Provided in Doctor Offices are Unnecessary The above opinion is from the Centers for Disease Control in Atlanta as reported in the American Medical News September 13th 1999 issue. According to the articles, "about 100 million courses of antibiotics are provided by office-based doctors each year, and up to half are unnecessary." The article specifically investigates one type of antibiotic resistant bacteria, Methicillin-resistant Staphylococcus aurous  MRSA for short. MRSA is becoming a very commonplace infection accounting for one-third of infections in hospitals and nursing homes. The growth of MRSA is attributed to over utilization of antibiotics in general. Timothy Naimi, MD, MPH, a CDC medical epidemiologist with Minnesota Dept. of Heath, states it simply, "We very strongly believe that these [infections] are a byproduct of excessive and otherwise inappropriate use of antibiotics." The article reports that most documented MRSA infections now are transmitted in hospitals, where resistant infections have risen from 2% in 1974 to approximately 50% in 1997. New "Ramp" Antibiotics May be Fatal A new class of antibiotics, called "Ramp" antimicrobials, is being developed in response to bacteria's growing resistance to existing antibiotic drugs.